Microsoft Project Management Software is used for creating project plans, assign resources, track progress and manage the project budget. 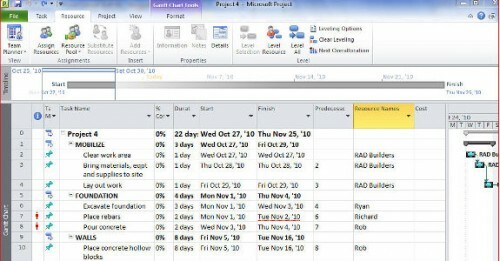 Also known as MSP, MS Project is helpful for creating budgets based on assignment work and resource rate. It is useful to store and share custom objects, analyse workloads, prepare Gantt chart. Controlling your projects can become very tedious if there are many tasks that have to be handled by many persons. They can become more complicated if you are expected to know the completion status as well as know the value of completed tasks. 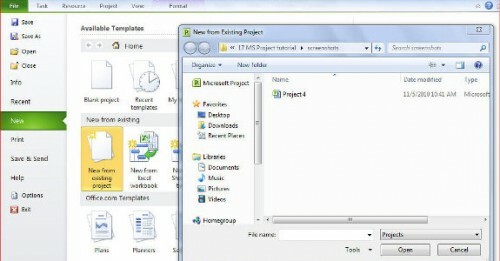 In this tutorial you will learn how to create a summary task in MS Project. You will also lean to format the schedule. 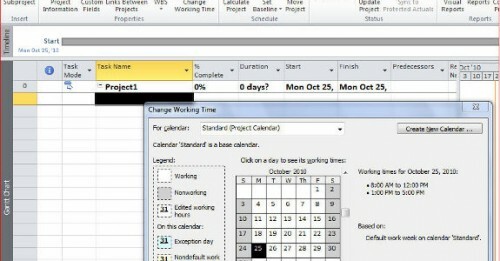 In this tutorial you will learn how to create a Calendar in MS Project. 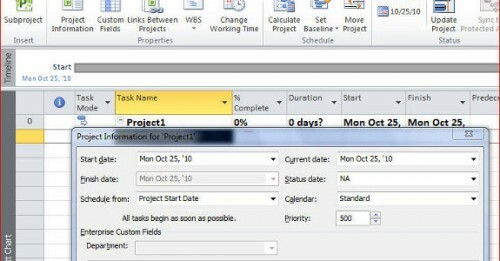 In this tutorial you will learn how to use timeline that is appropriate to your project schedule in MS Project. Projects with a (more than a year) long duration usually have months as their time unit. This can be reduced to weeks if duration is for 12 months. 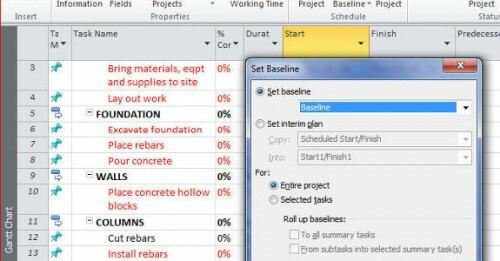 If a project has a duration of one week, then days can be used as a time unit. 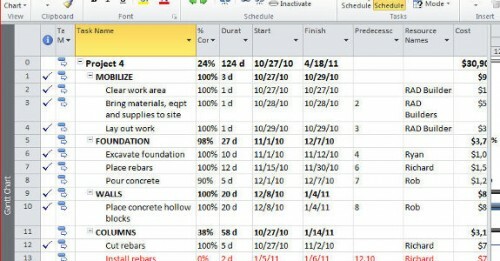 Modify shape of Gantt bar – In this tutorial you will learn how to modify shape of Gantt bar in MS Project. 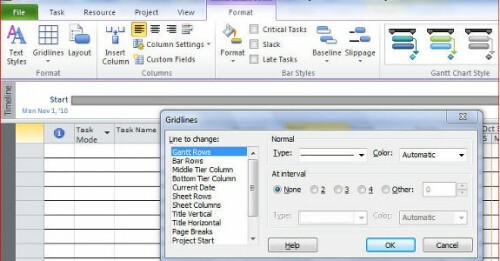 Grid lines – In this tutorial you will learn how to work with grid lines in MS Project. You can show grid lines to make it easier to visualize your schedule. 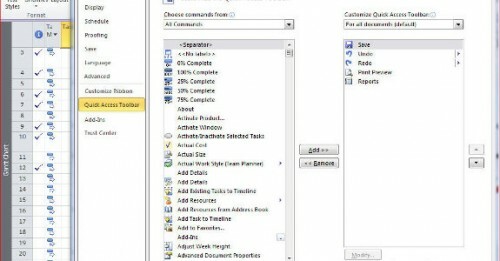 In this tutorial you will learn how to manage task in MS Project. There are two ways: – Top down, – Bottom up. 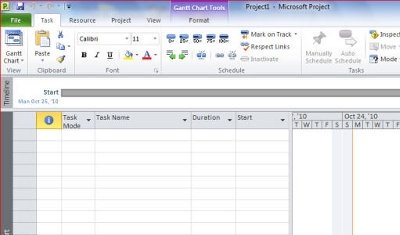 In this tutorial you will learn how to sequence your tasks in MS Project, create milestones and respect links. 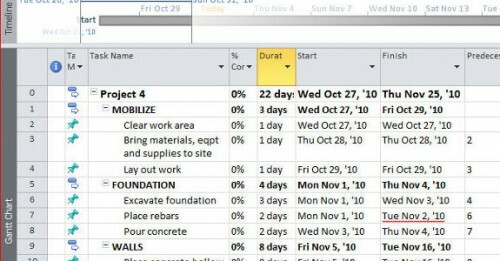 Now that you have formatted the way your project will look like, inputted duration for each lowest-level task, assigned the predecessor of each task, assigned resources and costs, you are now ready to review your schedule. 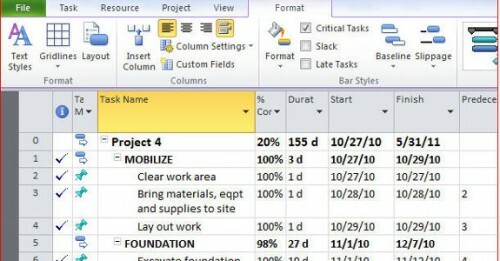 Assign responsibilities by either typing in the names of those responsible or selecting the names from the drop down menu. Now that you are satisfied that your schedule is workable, then you are ready to use it for managing and controlling your project. But as you progress in your work, you need to know the status of your project. This is also called resource leveling. While the completion of tasks preceding a task determines the criticality of a project, availability of people responsible for certain tasks and of equipment or money has a direct impact on your project. This is also called “crashing” a project. 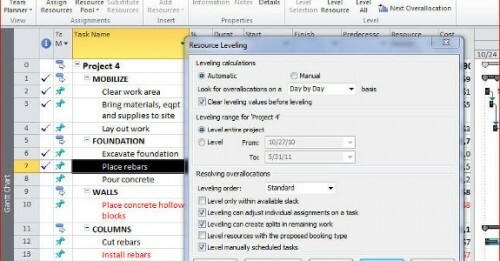 To reduce overall project duration, reduce the duration of only those tasks that are considered critical. When you reduce duration of critical tasks, it is possible that non-critical tasks can become critical. When crashing a project, you should not only look at critical tasks but also availability of men and money. 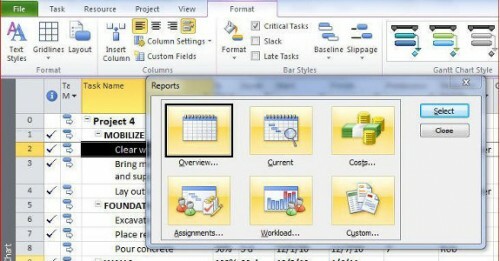 MS Project has a number of report templates to choose from. Before you make a final print, let us first preview the schedule. Select All Commands Scroll down to search and select commands you wish to include in the Ribbon.